Calling all golfers ….of all abilities! 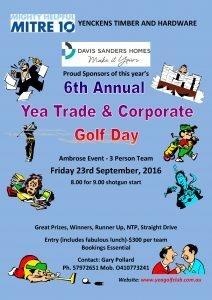 You’re invited to gather together a couple of mates and join in all the fun by entering a team for the 6th Annual Corporate Day held the Yea Golf Club. 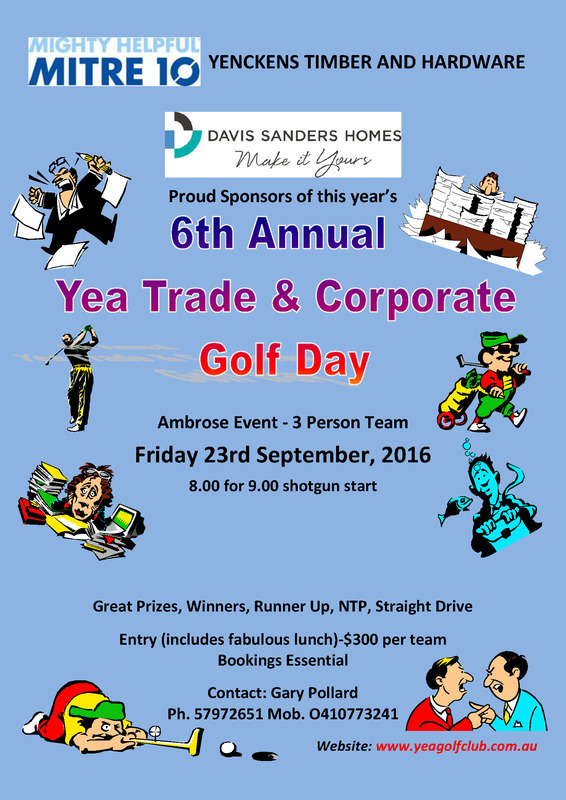 Proudly sponsored by Davis Sanders Homes and Yenckens Mitre 10 Hardware, Yea this fun 3 person Ambrose Event is regularly booked out …..so don’t dilly dally or you may miss out!